contact: benmotorcyclerider@yahoo.com to put your ad up. Best trading company ever since August 7th. Hello reader. For over 19 years I have provided exemplary bodyguard service for myself and my (now deceased) pets (R.I.P. FLOOD, FRANKLIN, GOLDIE, HERMY, AND THAT BETA FISH WE ONCE HAD). I am now looking to expand my business offerings to famous celebrities after so many years of training. Ok so if you are any of those celebrities or Limp Bizkit, please contact me at: benmotorcyclerider@yahoo.com My credentials speak for themselves. 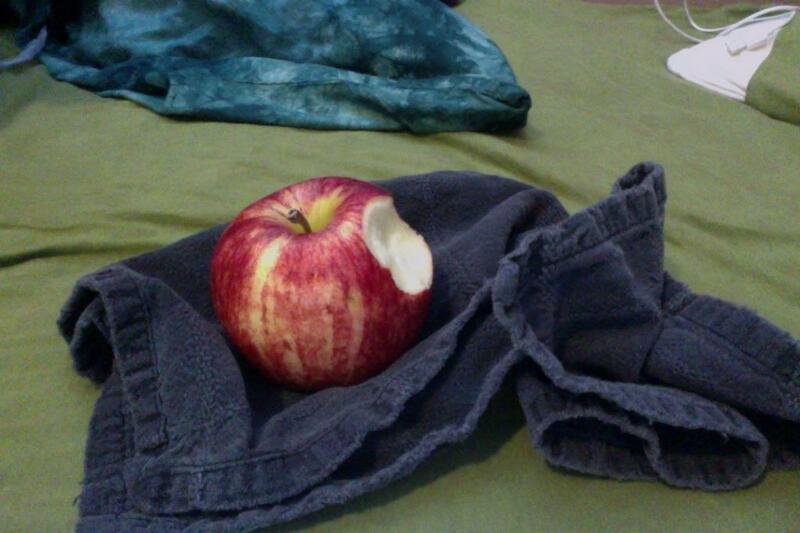 I am looking to trade this royal gala apple I got at the end of july (2012). It is in fairly good shape, but has a bit of wear and tear. I would like to trade it for a fender stratocaster made between 1976 and 1997 (MUST BE IN ROYAL BLUE). I am looking to rent this homemade Christmas turtle neck that my mother made. It is a great piece of outdoor wear perfect for any occasion. I would like to rent it for 2 pokemon green energy cards a month, but I am pretty flexible if I only receive one and a half per month. It is a hot item that needs to be rented in the right hands so there will be a mandatory pre-screen form to fill out.